Monte’s has been around for years but we never got around to eating there because….who knows? We do eat regularly at Bangsar Shopping Centre or BSC but had always just stuck to the few obvious choices – Pressroom (for its wonderful steak tartare – I mourn its recent demise), Chinoz (for my favourite pumpkin gnocchi which quality had recently went down the drain), Ippudo (they took over Pressroom’s lot but no bad blood as I am contented with replacing my favourite steak tartare with Ippudo’s mindblowing seared salmon roll) and Chilli’s (the keyword is consistency) of course. So with Pressroom gone, Chinoz going through teething problems, and slight boredom with both Ippudo and Chilli’s, we felt that a change of taste was in order. And we walked around aimlessly till we stumbled upon Monte’s. We hit up Foursquare and was pleasantly surprised by the number of positive comments, from the most recent to those dating back to a few years ago. 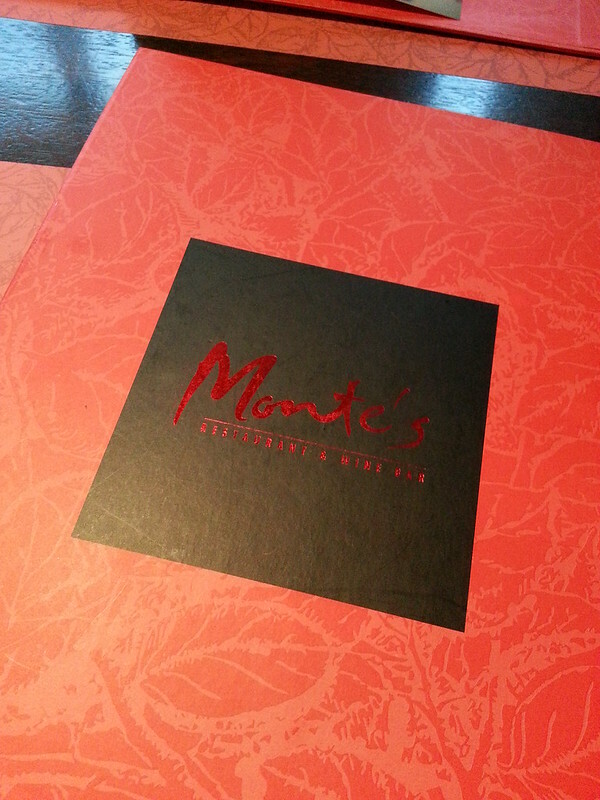 So a decision was made, we would eat at Monte’s eventhough the place looked rather quiet. # – Monte’s Restaurant and Wine Bar. The restaurant is really spacious with unpretentious furnishings and has plenty of seatings especially if you come in groups. 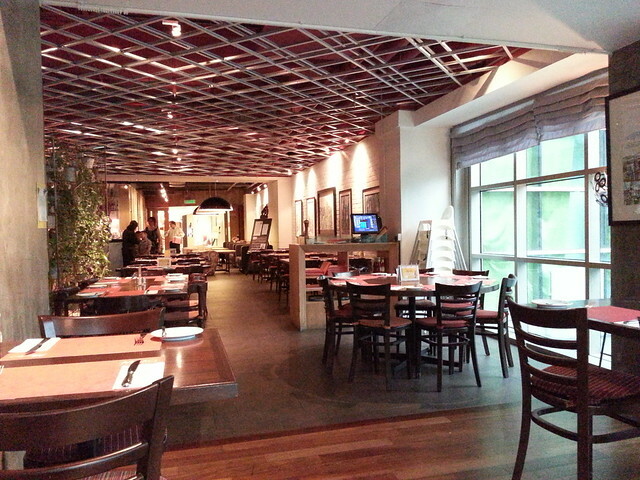 # – This is only half the restaurant…I was too lazy to walk around taking pictures. Service was wonderful, the staff spoke excellent English and were very attentive without being intrusive. 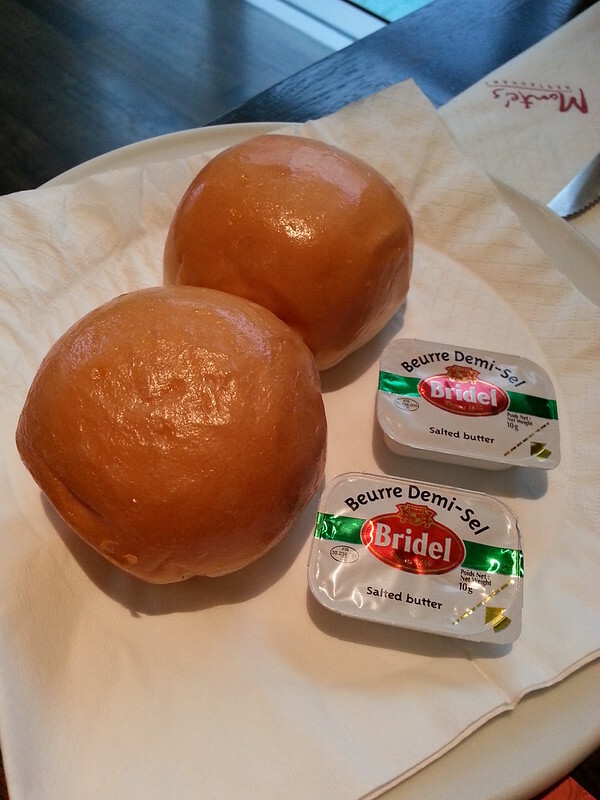 # – Complimentary bread and butter. We knew we wanted steak and some kind of seafood. In the end we settled for grilled scallops, escargots and steaks. 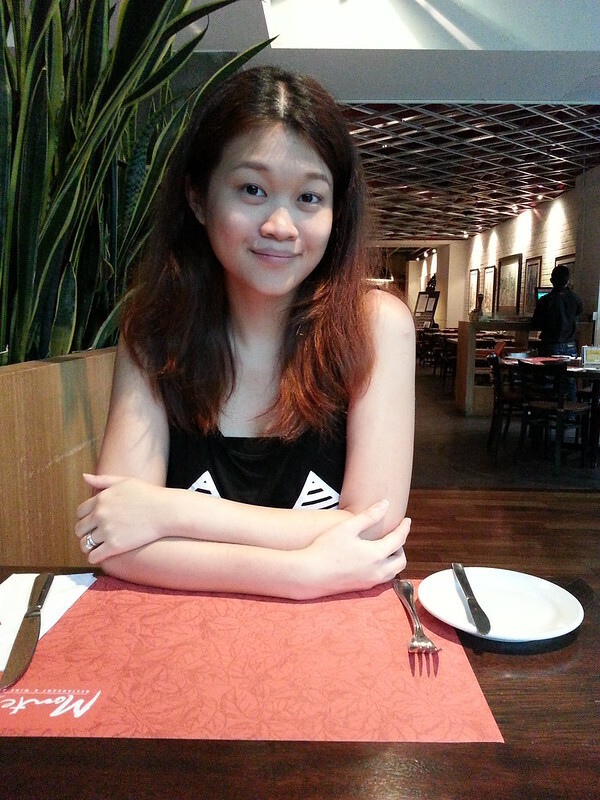 # – 1/2 dozen escargots (RM 19). 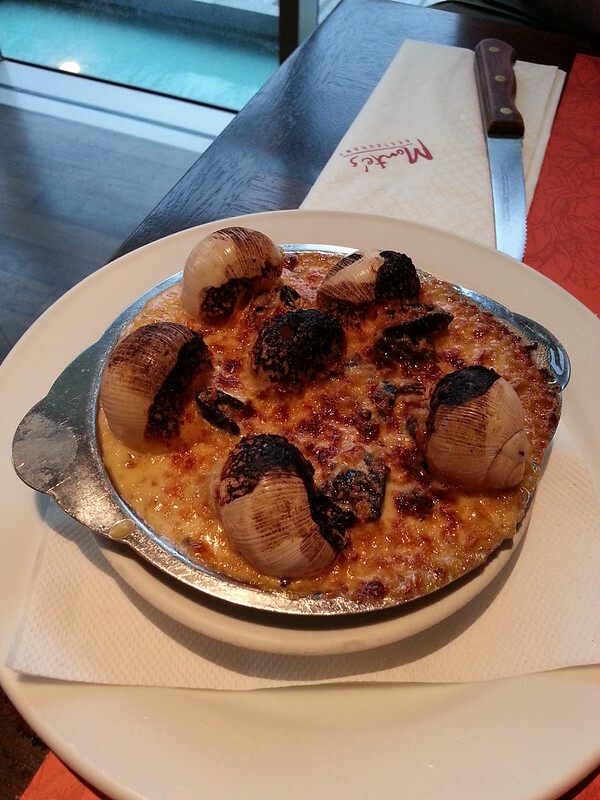 Possibly one of the best escargots we’ve had for a long time. Must say it even beat the ones we had in France, hahaha. The snails were big and succulent. The wine garlic sauce was simply addictive, we wish we had some bread to soak it up! In hindsight, we should have requested for more bread. 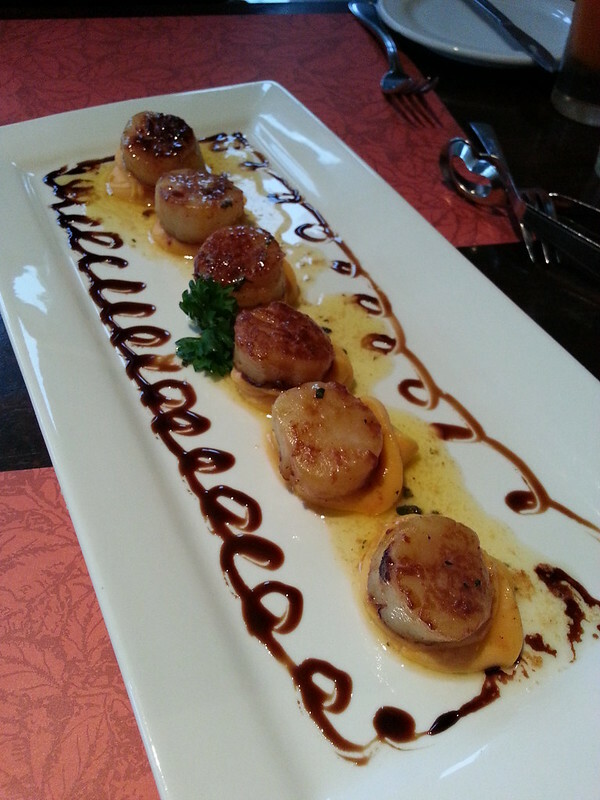 # – Seared scallops with sweet potato puree and tarragon butter (RM 39). The scallops were beautifully cooked. Still springy on the inside and lightly crisp on the outside. With the delicate sweet potato puree (which wasn’t too sweet by the way), the dish was moreish. In fact, throughout our time at Monte’s we were contemplating ordering another serving of scallops, they were that good. 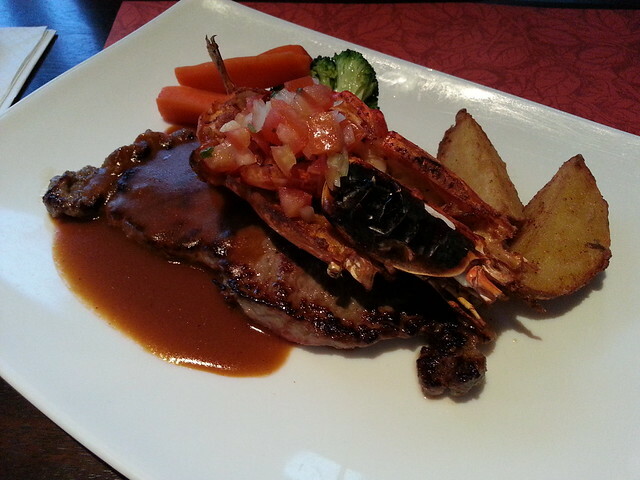 # – Surf and Turf (RM 53). The hubs reported that the prawns were nicely done and the steak was really good too, cooked to medium as he likes and not gristle-ly. 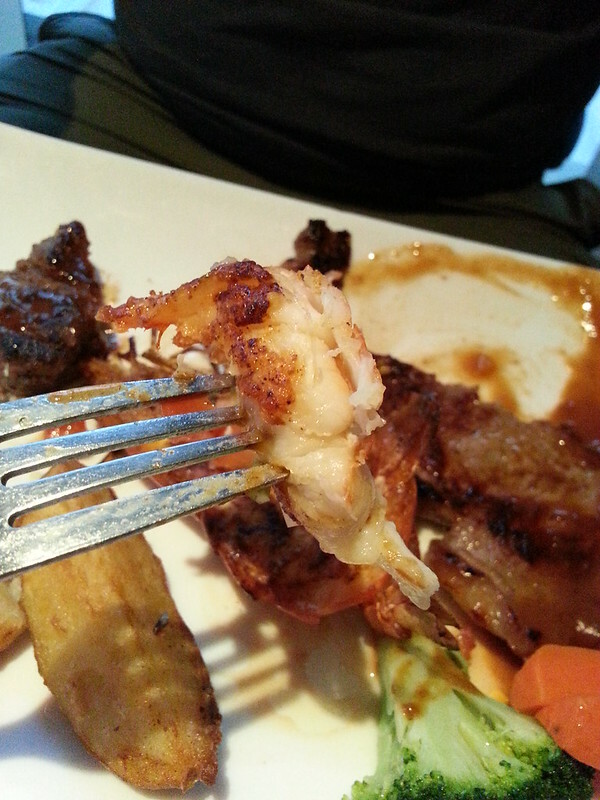 # – Fat, tender prawn flesh. 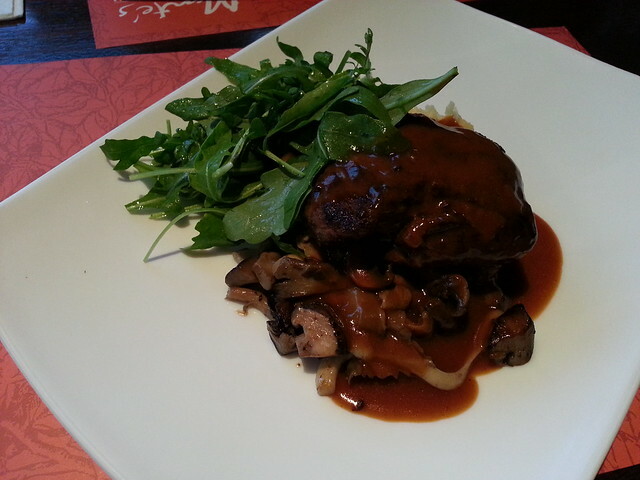 I had the “Charbroiled Fillet Mignon”, which was served with sauteed mushrooms and mashed potatoes. # – Charbroiled Fillet Mignon (RM 60). 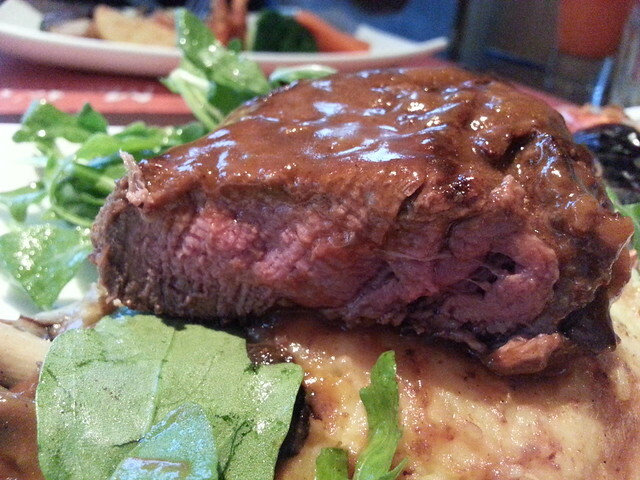 The portion was generous and the filet mignon was perfection. Cooked medium rare, it was tender to a fault! I ate it all…I ate everything. Not one bit of steak was left on my plate. Even the mushrooms were incredibly delicious. 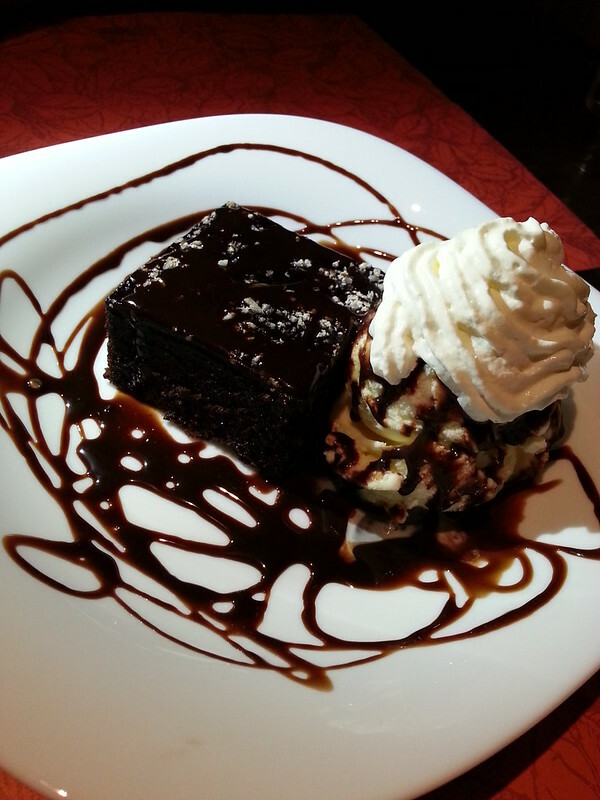 We finished our meal with Monte’s signature brownie. When we ordered, the waiter mentioned that they serve the best brownie in town. # – Brownie (RM 13). Well, I am inclined to agree. The brownie was packed full of chocolatey goodness, so fudgy and dense. A lot of flattened chocolate cakes are disguised as brownies these days so I was happy to be eating an actual brownie. So will we go back again? Yes indeed. The prices are incredibly reasonable for the quality of food – which is high. We left the restaurant satiated and happy. 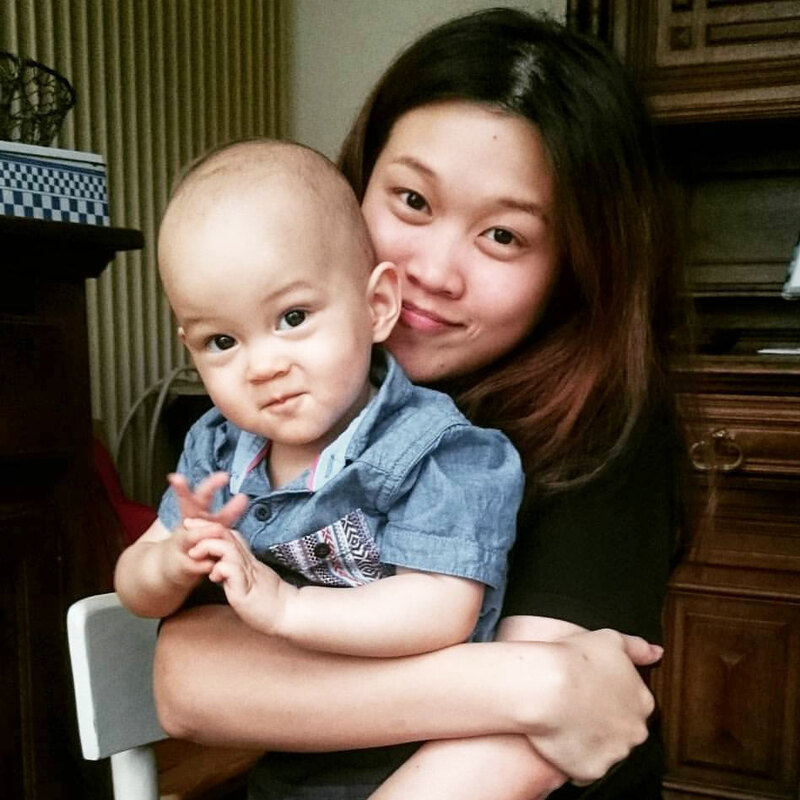 # – Obligatory I was there (sowee bad hair day). Jalan Maarof, 59000 Kuala Lumpur.